Janet qualified as a Complementary Therapist having studied through Bolton University as a mature student for two and a half years. She has gained a foundation degree in Complementary Therapies; this involves Aromatherapy Massage, Swedish Massage, Indian Head Massage and Reflexology. Janet explains, she has known many colleagues and friends who work hard, but feel continually stressed and find it hard to manage the balancing act of work and life. Through using an holistic approach it is possible to retrain and kick-start your body's own natural self-healing process to help with a sense of well-being. Bringing holistic therapies into your life can help achieve balanced living on a daily basis by being more relaxed, less stressed and tense. Regular treatments can benefit those with chronic conditions whilst working alongside conventional medicine to help alleviate symptoms of ill-health and promote a feeling of well-being. 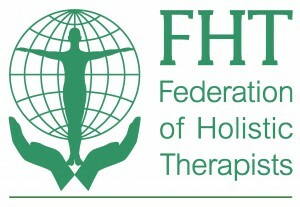 "Since training as an Holistic Therapist, my whole life philosophy has changed. I don't just advise a healthy lifestyle for my clients, I try every day to have a positive holistic outlook on life. Personally for me, living a healthy lifestyle is a lifelong learning process, preventing illness, being aware of how internal and external influences affect the mind, body and soul and how today's busy fast pace of life affects us all, even us therapists!" Having treatments on hand, be it in your work place or visiting the treatment rooms, may help enhance your performance and development, reduce absenteeism in the workplace, provide emotional and physical health at an affordable rate.